Our Recruiting in a Down Market talks from last week covered a lot of useful material that we’d like to share with readers. That said, here is an abbreviated version of our talks. Note that some of this content is from Mergers and Inquisitions. Consulting hiring has been deeply impacted. From firm-wide hiring freezes and layoffs (eg, Accenture) to reduced hiring at the Big 3, recruiting is not as easy as it used to be. However, in the words of Jim Cramer – there’s always a bull market somewhere. Consulting firms focused on corporate restructuring are doing well in these times, and big firms such as Bain and BCG are building their expertise in these areas. In addition, there are significant regional differences in hiring – but I’ll get to that below. The key here is to be proactive, rather than reactive. To get yourself in front of people, instead of waiting for them to recruit you. Even the strongest candidates with big brand names on their resumes and 3.9 GPAs aren’t guaranteed interviews, much less offers. Family and friend networks – be open about what your goal is! Network skillfully. Use the Law of Attraction to your advantage by being open about your goals to anyone and everyone. We, like many of you, used to think networking was annoying. We didn’t do much of it. We thought it was fake and superficial. But it played a huge role in getting us to jobs at McKinsey and Bain. Don’t overlook it. Remember when the tech bubble burst? It was painful for companies, their employees, and new recruits. Offers were rescinded, people were fired, everything was a mess. This time around, companies want to avoid those same mistakes. After all – who wants to recruit for a company that took away job offers and summarily fired people without warning? Some companies have attempted to adopt hiring policies that look beyond this recession. They want to invest in people for the future, and not worry about cyclical drops in demand now that may leave them suffering from a staff shortage in 3 years. But let’s face it. The vast majority of firms have cut hiring. BearingPoint even filed for bankruptcy protection. Everyone has different passions – you may think this is the perfect time to go to Japan and teach English, or pickup surfing in Hawaii. Be careful – too much time off, and you may never get back on the management consulting track if that’s your goal. It’s tough because no one knows when markets will recover – but if we learned anything from the last recession, we know that the pain won’t disappear immediately. Business school is a bad idea without work experience. Consider a Master’s program at a top institution instead. It buys time, you learn something you’re interested in, and you get another chance at recruiting. Lastly, consider long-term ramifications of your decisions. If you pursue marketing or accounting, it may be difficult to get back on the strategy consulting train. Entrepreneurship is another option – but unless you’re obscenely successful, you may need to go back to school if you want to work at Bain. We encourage people to think about their 5-year plan. Does management and strategy consulting play a clear role? If not, start pursuing your longer-term dreams now. If it does, then follow our advice above, continue recruiting and networking, and you’ll get your chance. You can also contact us if you need more extensive help. Need more help with the ins and outs of networking? Afraid of coming across too strong or being unable to leave a memorable impression? Our Networking Bible will equip you with the necessary tools and phrases helpful in the networking process. We help you navigate this tricky landscape and leave your contacts with a great impression of you! Thanks for these suggestions – particularly the advice about Masters programs over MBA. I’m trying to figure out what my next steps are so it’s good timing that I found this post! I just bot your Consulting Bible. Thanks!!! I have some final round interviews with Navigant, Monitor and a few others. 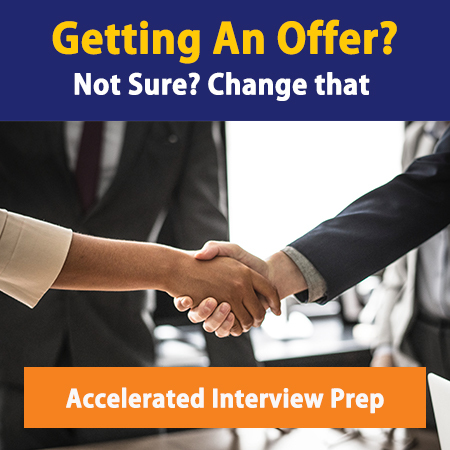 Would you have time this week for interview prep? I’ve heard some great things from a friend and could REALLY use the help. What exactly did your friend master in at Yale? Does it matter what your concentration is at your masters program? Thanks. My advice is to shoot for something that is either global in nature (such as International Policy) or quantitative/analytical (such as Financial Math).